The Space Age restaurant is part of the landmark Best Western Space Age Lodge located in Gila Bend, AZ (401 E Pima St, Gila Bend, AZ 85337). Special thanks to Jeff Jones for the out-of-this-world celestial illustrations! 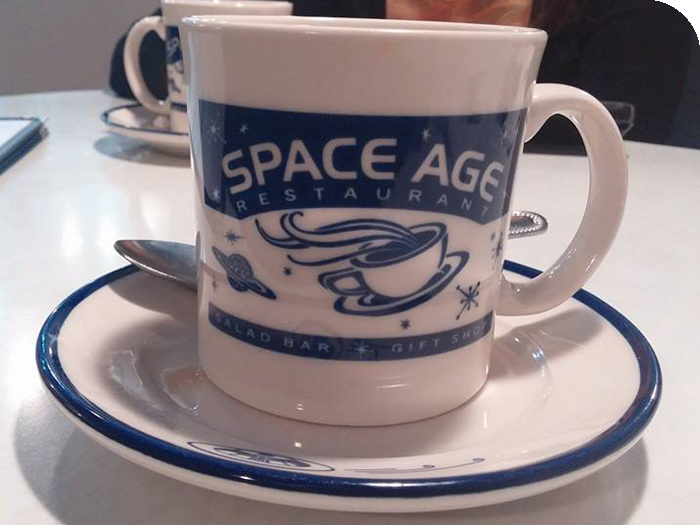 This Best Western client applied the Space Age Restaurant sign illustration to their coffee cups. Hmmm… I wonder if they serve Tang. Copyright © 2019 Creative Harvest, LLC. All Rights Reserved.